Home » Advocacy » Where is the federal government’s Indigenous Housing Strategy? Where is the federal government’s Indigenous Housing Strategy? This op-ed was published by the Ottawa Citizen on January 29, 2018. These powerful statements paint a hopeful picture for the future of housing in Canada. But it will be an incomplete picture until Canada delivers on an Indigenous Housing Strategy. How can we celebrate the new National Housing Strategy as a full plan to meet the needs of our country’s most vulnerable, when it is not paired with a strategy to support the population who experience homelessness at the most acute rates in Canada? How can we say “one person living on the streets is too many,” when urban Aboriginal peoples are close to 10 times more likely to experience homelessness than other Canadian urbanites? How can we refer to a plan as “robust and life-changing” while people living on-reserve continue to face deplorable conditions? How can we even refer to the Strategy as a national initiative, when it leaves out an entire population of Canadians? The federal Liberals have said they need more time for deeper consultations with Aboriginal peoples before they can develop and release their forthcoming Indigenous Housing Strategy. They are right in acknowledging that the Aboriginal community requires a separate strategy to address our unique needs, and that the strategy must be driven by Aboriginal perspectives. But one is left to wonder: Why wasn’t this consultation prioritized sooner? 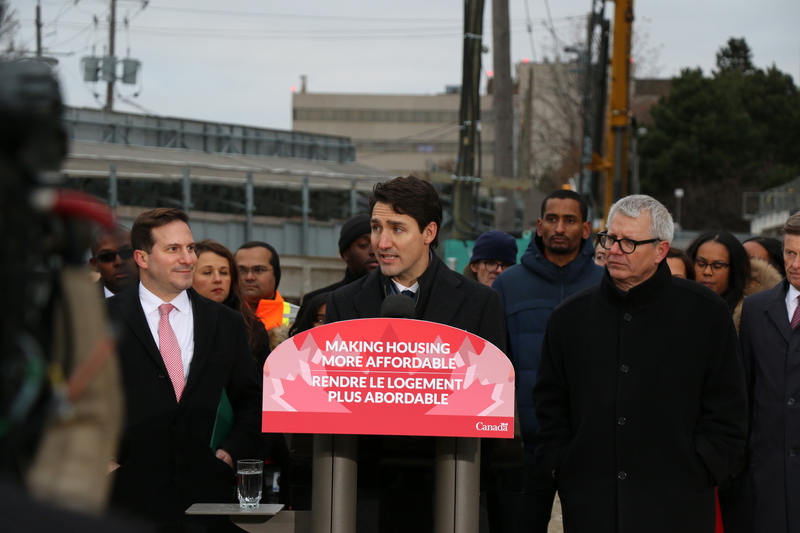 The National Housing Strategy has been years in the making. Leaders, housing advocates and social housing providers from Aboriginal communities have been ready and waiting for the government to engage with us. For those experiencing homelessness or sub-standard living conditions – on top of a history of being grossly underserved by government – another year of waiting is simply too long. Most current attention and limited federal funding have focused on addressing on-reserve housing issues, and there is no doubt that more must be done to improve intolerable living conditions on-reserve. But there is a rising need to improve housing conditions for Aboriginal peoples living off-reserve as well. They account for more than 85 per cent of Ontario’s total Aboriginal population, and that number is growing fast. The $25 million annually of dedicated nationwide housing funding for Aboriginal peoples not on-reserve that was offered up in the 2017 federal budget does not go far enough. Stretched across the country over a 10-year period, the limited funds will not make an impact in any meaningful way. In addition, the original funding agreements between non-profit housing providers and the federal government are beginning to expire. Aboriginal providers are disproportionately affected by this because their tenants’ rents are often deeply subsidized. The loss of federal subsidies will threaten the sustainability of these programs and ultimately lead to a significant loss of vital Aboriginal housing programs, most of which provide social supports in addition to shelter, and operate much like supportive housing. If the government fails to step up with continued funding, we will, sadly, see a rise in the already devastating Aboriginal homeless population. As we continue to wait on the federal Indigenous Housing Strategy, the Province of Ontario has set a promising tone as it develops its own Indigenous strategy. Ontario is consulting regularly with Aboriginal housing providers to ensure their voices are being heard, recognizing there is often a cultural disconnect. The federal government has committed to taking a similar approach, but only time will tell how it all will unfold. It is absolutely crucial that the consultation process be structured in a way that makes space for Aboriginal perspectives. Every decision must be informed by those who live the everyday realities of the Aboriginal community. There can be nothing for us, without us. And without a strategy, how can Canada claim to live up to its promises of truth and reconciliation while failing to deliver on the most basic needs for its Aboriginal peoples? So, let’s celebrate the federal government’s reengagement with housing. Let’s celebrate new funding opportunities and promising new programs. But let’s wait until all Canadians – especially our most vulnerable communities – can celebrate together. If the federal government means it when it say even one person living on the streets in Canada is too many, it is critical that it get the forthcoming Indigenous Housing Strategy right. Frances Sanderson and Marc Maracle are co-chairs of the Ontario Non-Profit Housing Association’s (ONPHA’s) Urban Aboriginal Housing Advisory Committee. ONPHA believes that secure, decent and affordable housing is a human right and fundamental social determinant of health.